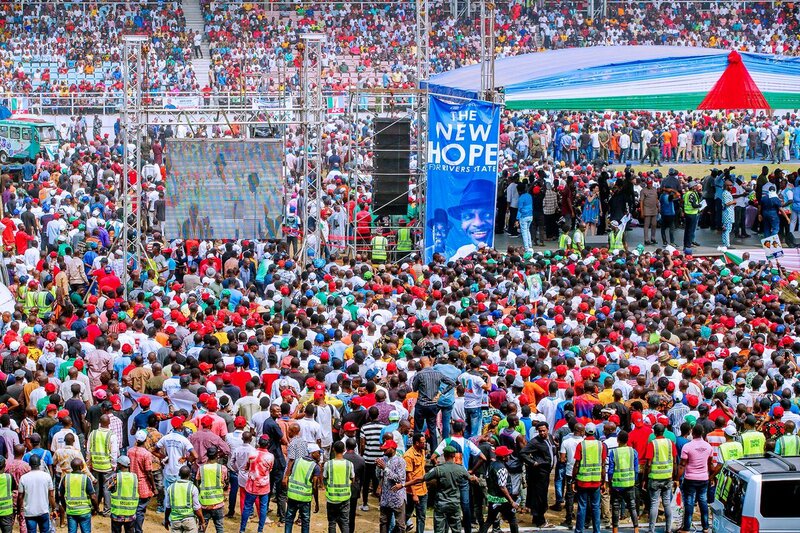 President Muhammadu Buhari has reacted to the tragic death of some members of the All Progressives Congress (APC) at the presidential campaign rally in Rivers state. Fourteen persons allegedly died at the rally with many others injured. Reacting, Buhari, in a statement by the presidential spokesman, Garba Shehu, said the unfortunate incident could have been averted if there was an orderly exit from the Adokiye Amiesimaka Stadium. The president, who described the deaths as “needless loss of lives and an anti-climax to a highly successful outing,” extended his deepest condolences to the families and friends of the victims and also wished a speedy recovery to all those injured. He said, “It is indeed a great tragedy that Nigerians who have important roles to play in shaping the future of the country and had come to see and hear from us how hard their government is working to build a Nigeria of their dreams, would meet their end in this unfortunate circumstance.